Posted February 21, 2018 by James Gawthorpe & filed under Our team. 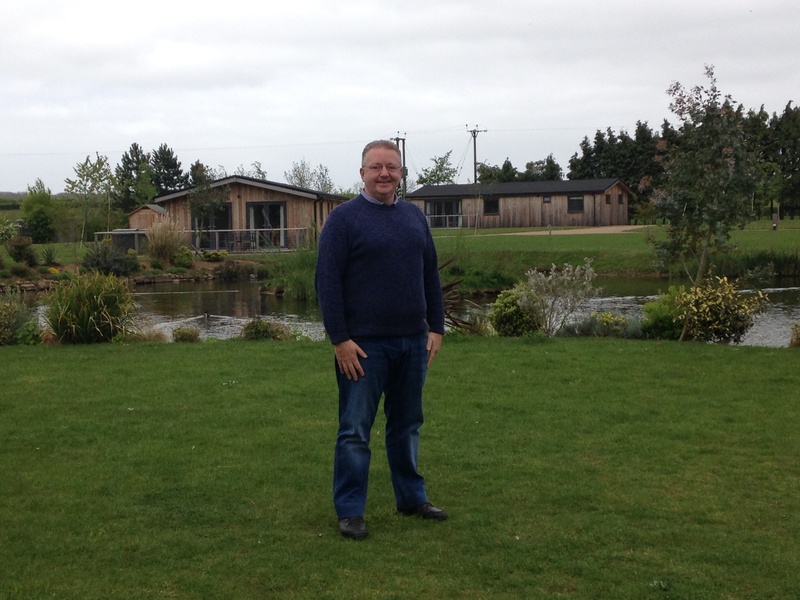 Since joining our team in May 2017, Lawrence Simpson, the Park Manager here at Cedar Retreats, has had to turn his hand to a varied number of new tasks. With a 30-year career in the military, Lawrence soon found that many of the skills he had perfected were transferable to the leisure industry; with the need to be focused, to have good administration processes in place and to be organised. Adept at spinning plates, and taking on each new challenge with gusto, Lawrence makes sure that the rental and guest experience is of the highest standard for our owners and guests alike when visiting our luxury lodges. Responsible for all aspects of managing the park, which includes providing direction to the housekeeping, ground, general and hot tub maintenance teams, no two days at Cedar Retreats are ever the same. Interacting with owners, guests and their families, Lawrence is often the first point of contact when you visit Cedar Retreats and can be found in the main office that is positioned right at the centre of the park. Formerly a Captain of the Royal Army Medical Corps in the British Army, during his spare time Lawrence enjoys reading books about true crime and military history. It comes as no surprise that history was also his favourite subject at school. Describing himself as organised, passionate and meticulous, Lawrence is a stickler for detail and will go out of his way to be helpful. Next time you visit Cedar Retreats make sure you pop in to the office and say hello. You’ll find a friendly face, a wide smile and a good sense of humour waiting to welcome you. Retreat, Relax, Return is our motto here at Cedar Retreats and we make sure that this is reflected in all that we do here. Specifically developed as a hassle free, turn-key solution the dedicated management team at Cedar Retreats offer you a truly bespoke experience.